In January 2016, Taiwan’s former authoritarian ruler, the KMT, the Nationalist Party of China, lost control of both the presidency and the legislature. Having led the democratization process in Taiwan during the 1980s, it maintained a winning coalition among big business, the public sector, green-collar workers and local factions. Until now. A New Era in Democratic Taiwan identifies past, present and future trajectories in party politics and state-society relations in Taiwan. Providing a comprehensive examination of public opinion data, it sheds light on significant changes in the composition of political attitudes among the electorate. 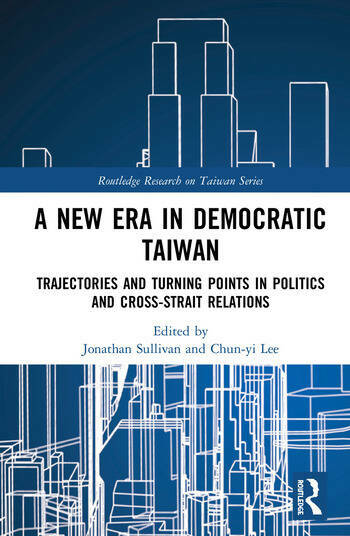 Through theoretical and empirical analyses, this book also demonstrates the emergence of a ‘new’ Taiwanese identity during the transition to democracy and shows how a diffusion of interests in society has led to an opening for niche political organizations. The result, it argues, is a long-term challenge to the ruling parties. As the first book to evaluate Taiwan’s domestic and international circumstances after Tsai’s election in 2016, this book will be useful for students and scholars of Taiwan Studies and cross-Strait relations, as well as Asian politics more generally. Jonathan Sullivan is Associate Professor in the School of Politics and International Relations (SPIR) at the University of Nottingham, UK, where he is also Director of the China Policy Institute and the China Soccer Observatory. Chun-Yi Lee is Associate Professor in the School of Politics and International Relations (SPIR) at the University of Nottingham, UK, where she is also Director of the Taiwan Studies Programme.